The spindle motor is the heart of the machine and for best performance it must be handled with care and be properly maintained. The following list provides 15 easy checks you can make to improve the performance of your spindle & reduce your spindle motor repair costs. If the spindle will be placed in storage, rotate the shaft 3 turns every 3 months top to bottom to circulate grease and lubricate internal components. Store the spindle be stored inside, in a dry heated area, and away from traffic to avoid damage. Keep the spindle covered covered and spray non-painted metal surfaces with a quality rust inhibitor. Do not bump or stand on nose or pulley ends during handling or installation. Check the spindle mounting surfaces for flatness and remove all dirt. Change filters, flush out lubrication and air purge supply lines before connecting them to the spindle. Check housing o-rings for kinks and tears. Check for a clean lubricant supply and correct operating pressure. Check the air purge operating pressure and flow. On belt-driven spindles, check belt for tension, wear and guarding. Do not over-tighten the belt! Check spindle rotation direction, orientation and speed. Clean spindle taper and pilots. Do not tighten cold tools into a hot spindle. Use balanced cutting tools and tooling assemblies. Check the tool clamping pressure. Do not blow air or coolant into spindle seals or at the face of spindle. If your spindle needs service, ship all spindle components, pulleys and keys so they can be checked for proper balance. Clean the exterior of spindle before shipping it to the repair facility. 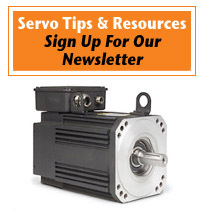 With a few simple steps, you can improve performance, reduce failures and avoid the need for spindle motor repair. However, should the need ever arise, the experts at TigerTek are here to help! Our dedicated repair facility boasts industry-leading turnaround times and customer service, provided at extremely competitive prices. Discover why we're the partner of choice for hundreds of clients across the United States - call us now at 1. or contact us for a free quote.